An attractive and inexpensive option for your next hunting trip. 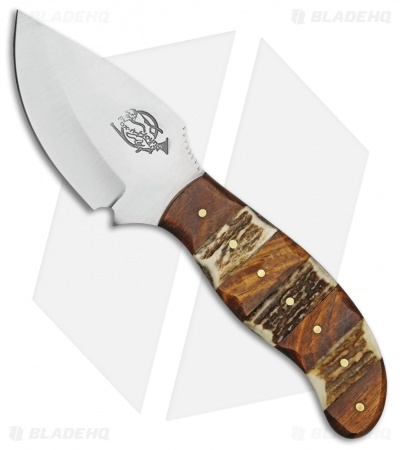 The Fox-N-Hound skinner features a 3.25" stainless steel blade with plenty of belly for processing your next trophy. Stacked wood and stag scales make a unique and functional handle. 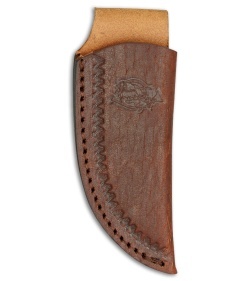 Easily carried into the backcountry with the included brown leather belt sheath.